Over the past nine decades, Alpha Kappa Alpha Sorority, Inc., Xi Omega Chapter, has demonstrated a rich history of community service and commitment to education. The members continue to value the mission of Alpha Kappa Alpha Sorority, Inc. – service to all mankind. 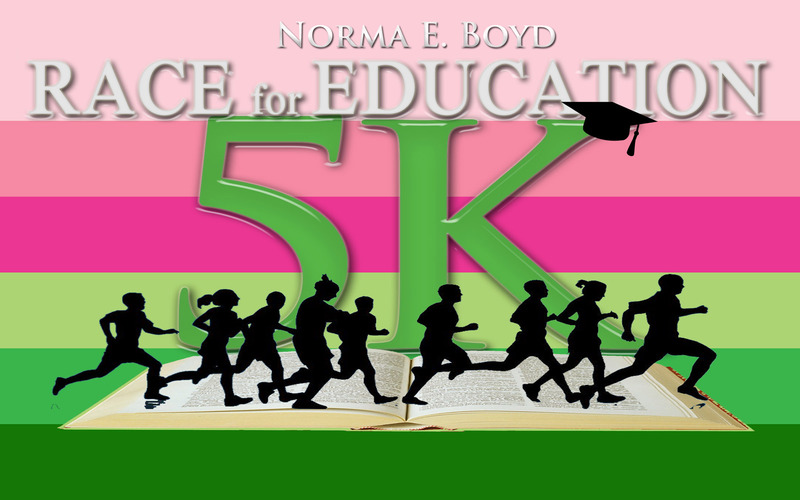 Xi Omega Chapter, in collaboration with the Pearl and Ivy Educational Foundation, Inc., will host its annual Norma E. Boyd 5K Race for Education on Sunday, September 23, 2018. Norma Boyd was a native Washingtonian who spent her 97 years of life dedicated to educational and humanitarian pursuits for children. Ms. Boyd was an incorporator and founding member of Alpha Kappa Alpha Sorority, Inc. She also was a charter member of the Xi Omega Chapter. The Norma E. Boyd 5K Race for Education packet pickup will be available the morning of the race. All participants must pick up their packets prior to the race start between 7:15 a.m. and 8:00 am. Registration $40 August 1 – September 16. There is ample parking in East Potomac Park near the starting line on Ohio Dr.
will receive a commemorative medal by October 1, 2018. Educational Foundation Event page. Your results will NOT be recorded as official results, nor will you be eligible for age group awards or rankings. registering, we assume you will complete the mileage required. If you have any questions regarding the race please contact Vivian Washington at (202) 288-4996 or zonamom@hotmail.com or Jennifer Coleman at (202)903-6268 or jmc1908@hotmail.com. Alpha Kappa Alpha Sorority, Inc., Xi Omega Chapter does not offer refunds, rollovers, credits or transfers at anytime. All registrations are final.